On 11/29, the GTZ-SF Consortium convened for its last meeting of 2018. This meeting brought together over 100 people in observance of World AIDS Day. Tony Bradford, from the San Francisco AIDS Foundation, lead us in a moment of silence for those who have passed and to show support for those living with HIV and AIDS. He honored Mr. Norman “Stormin’ Norman” Tanner for his leadership in HIV prevention and support in San Francisco as well as his involvement in the City’s sober community. Also from the San Francisco AIDS Foundation, Courtney Mulhern-Pearson presented an update on Prop C since the Nov. 6 election and shared information about California’s new End the HIV, HCV and STD Epidemics project. Mike Shriver, GTZ Steering Committee Member and HIV Community Planning Council Co-Chair, presented a five-year review of GTZ’s progress and highlighted the Consortium’s achievements around PrEP, RAPID and retention & re-engagement. The interventions attempt to address the disparities gap among youth, Black/African Americans, Latinx, transgender women, persons who are homeless or not stably housed, and people who inject drugs. Brett Andrews, PRC CEO, and Hyman Scott, Clinical Research Medical Director at Bridge HIV, moderated an engaging and powerful panel + discussion on the state of Black/African-American health in San Francisco, racism and institutional bias. 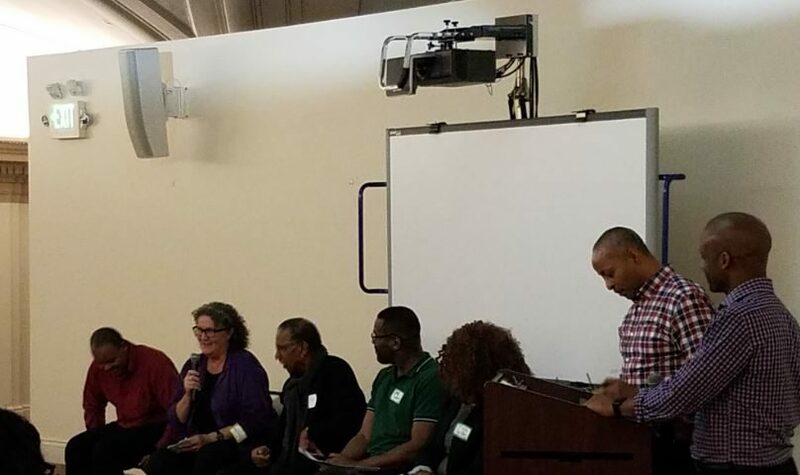 The guest speakers and panelists for the evening included Vincent Fuqua (SFDPH), Health Commissioner Jimmy Loyce, Diane Jones (GTZ), Takija Gardner (YMCA of San Francisco) and Joe Hawkins (Oakland LGBTQ Center). Slides from the evening’s meeting – click here. Click here to listen to the recording of the meeting.